What: Is your RP winding down for the night? Are you ready to just sit back, relax and let someone else tell the story for a while? Then tune in to Diera's Story Time, a one-hour, weekly run of audio plays (created by the wonderful folks at Big Finish Productions) and settle in for a night of adventure and drama. Last edited by Diera on 01/11/19, edited 21 times in total. Jetsetter, adventurer and owner of a very unusual London bus, Lady Christina de Souza likes the finest things. Even if they don't belong to her. And the more exotic - or alien - the better! Michelle Ryan returns as Lady Christina in her own series of audio adventures. Story details and the trailer for the special Doctor Who release The Eighth of March have been released today. 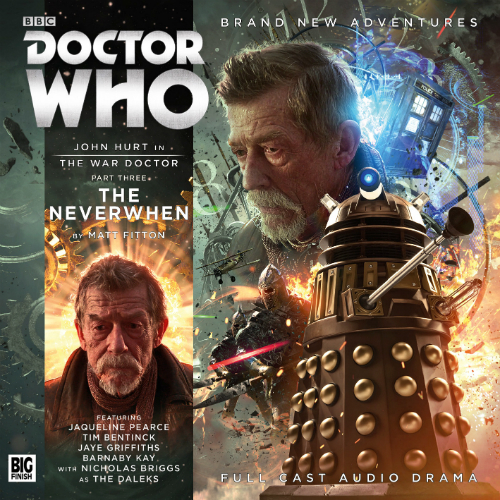 With some of our favourite characters all together in one box set, and several audio debuts such as the Paternoster Gang and the two Osgoods, we can’t wait for this one!